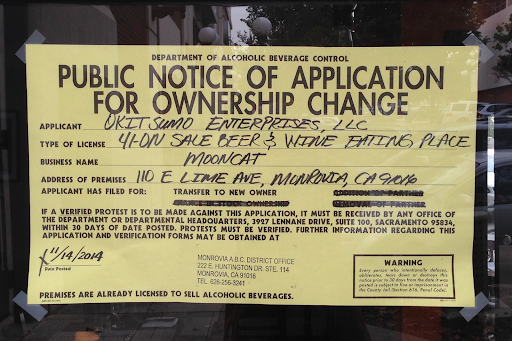 Apparently the little restaurant, 21 Bistro, on the south side of Lime just east of Myrtle, is being acquired by the Japanese restaurant, Mooncat, which is right next-door. This sign is in the window. Comment: Too bad, I always liked 21 Bistro.